If you need your truck to make a living, then you know how important it is to protect it from damage. 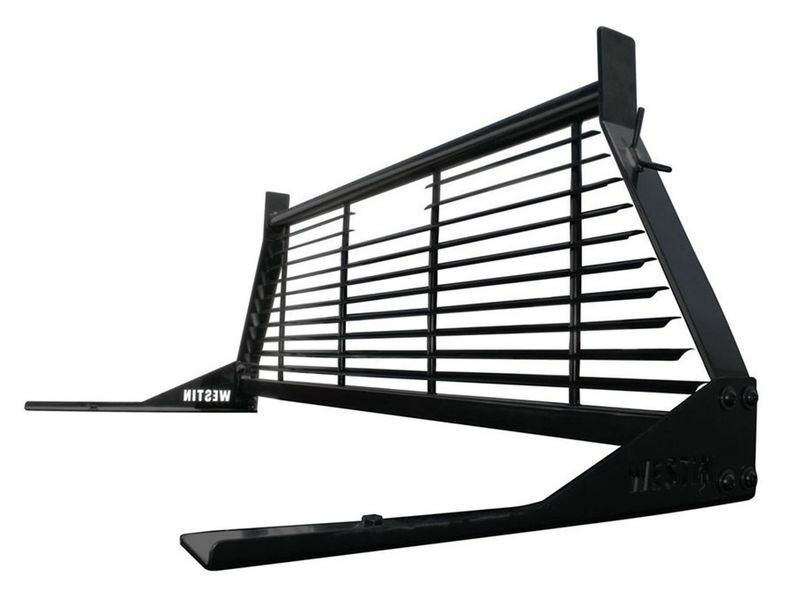 A Westin HDX headache rack is the perfect solution. You won't need to worry about your cab or rear window being damaged with this commercial grade rear window guard installed on your truck! These headache racks are made of Heavy duty steel and features a 2" round top tube. Westin went with a round tube instead of the square tube you see on other racks to make it easy for you to maneuver your cargo. Each headache rack also comes with 4 tabs that you can use for lights or other accessories and Westin has welded tie-off hooks directly to each side for your convenience. The HDX headache rack will work with most major brands of toolboxes and can be installed easily at home. All you need is a power drill and a few simple hand tools. Protect yourself from unnecessary down time caused by damage by adding a Westin HDX headache rack to your full size truck now! All Westin headache racks are available in both a white or black powder coat finish. Westin Automotive Products, Inc. guarantees the original purchaser a warranty against manufacturer defects in materials, workmanship and finish under normal use excluding damage resulting from road hazards such as gravel or other debris, product misuse, improper installation, impairments from accidents, product modifications or product neglect. This lifetime warranty applies only to new products and is limited to the repair or replacement of Westin products. Warranty does not include costs of removal, installation, labor, freight, inconvenience or consequential damages. Original purchaser must return defective merchandise, along with the purchase receipt, to the original place of purchase. This warranty does not cover damage resulting from accident, misuse, neglect, improper installation, fire, vandalism or any form of abuse. Westin HDX Headache Racks are simple and easy to install. There is only minor drilling needed. For additional information see the install manual below or call us at 1-877-216-5446 or 701-253-5906.